Mixing religion and government is nothing new in the United States–it happens all the time–but a recent case in the rural state of Alabama is particularly noteworthy for the blatant way in which it violates the United States Constitution. 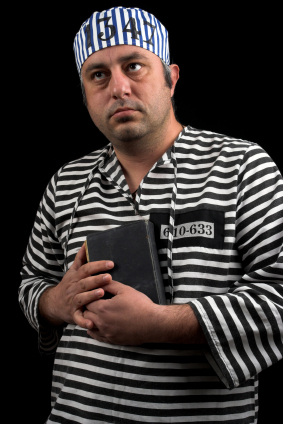 Many of our own Universal Life Church ministers will be surprised to know what authorities are telling nonviolent offenders in a small Alabama town: go to jail, or go to church. The problem with this type of ultimatum, however, is that it seems to violate the Equal Protection Clause of the Fourteenth Amendment to the Constitution. The effort, called Operation Restore Our Community, is being organized after a decision by a city judge in the town of Bay Minette, Alabama. According to CBS and the Associated Press, the judge decided to give misdemeanors the option of working off their sentences by going to jail and paying a fine, or by attending church worship services every Sunday for a year. Offenders who choose to attend the religious services will be able to choose which church they will attend, but they will have to check in with the pastor as well as the police each week. (So far there is no indication that pastors who get ordained online are allowed to participate.) After one year of successful church attendance, the offender’s case will be dismissed. Bay Minette Police Chief Mike Rowland told CBS and the Associated Press that the program could help reform destructive behavior in misguided citizens. Fifty-six churches in the region are participating in the program. Besides ostensibly violating the Establishment Clause of the First Amendment to the United States Constitution, the program also seems to violate the Constitution’s Equal Protection Clause, found in the Fourteenth Amendment. This observation was made by Sleepingtolive, one of the commenters on the CBS Web report on the story. It is possible to show how Operation Restore Our Community violates this clause using three hypothetical scenarios. In Scenario One, the judge gives the offender a choice between going to jail, or attending a mosque. This scenario violates the Clause, because it shows preference for Muslims over non-Muslims. Likewise, a choice between jail or a Christian church shows preference for Christians over non-Christians (or, for example, interfaith wedding officiants). To satisfy the requirements of the Establishment Clause and show Muslims and Christians equal treatment of the law, authorities must offer all citizens an option of attending either a mosque or a church. In Scenario Two, the judge tries to become more inclusive by giving the offender a choice between going to jail, or attending a mosque, synagogue, or Buddhist temple. This still violates the Equal Protection Clause, however, because it favors Islam, Buddhism, and Judaism over Christianity. Nobody would stand such marginalization of Christianity because it would violate the Clause. Similarly, marginalization of Muslims, Buddhists, and Jews violates the Clause. In order to fulfill the requirements of the Clause, Muslims, Buddhists, Jews, and Christians (just like traditionally-trained ministers and people who become a minister online) must all be treated equal. In Scenario Three, the judge tries to be more inclusive than ever before by giving the offender a choice between going to jail, or attending any religious service in any world religion or faith tradition. This still violates the Equal Protection Clause, though, because it shows preference for religion over non-religion. 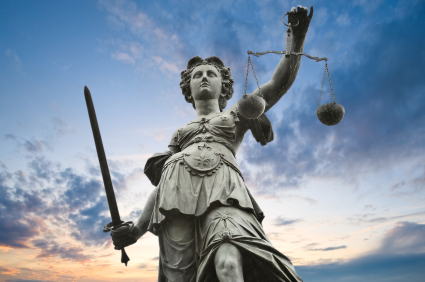 If the judge is to honor the dictates of the Equal Protection Clause, she or he must not show any preference for one or more religion(s) over another, or any preference for religion over non-religion, or vice-versa. He or she must find a suitable alternative that would show equal treatment of all individuals under the law. As we can see, there are some serious legal problems with programs like Bay Minette’s Operation Restore Our Community. Not only do they seem to challenge the principle of church-state separation supported by the First Amendment as well as judicial precedence, but they also seem to violate the Equal Protection Clause of the Fourteenth Amendment–one of the reconstruction amendments intended to return some powers to the federal government in order to prevent states from curtailing the constitutional rights of the individual by invoking state rights. Basically, it is unfair to give individuals only one religious worship alternative, it is unfair to give them multiple religious worship alternatives (leaving out others), and it is unfair to give them only religious worship alternatives, and not secular alternatives, and the Universal Life Church Monastery is committed to the fair and equal treatment of all groups. The only solution to behavioral problems on the part of civil government is to offer a neutral alternative which would ensure equal treatment of the law for all individuals. Give us your thoughts. Should local authorities be allowed to give nonviolent offenders the option of either going to jail, or to a Christian worship service? Why or why not is this fair in your eyes?